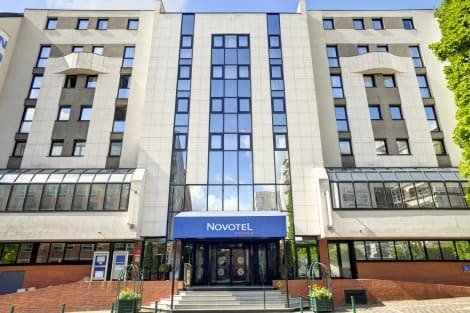 Renovated in 2017, the Novotel Suresnes Longchamp hotel is located in the west of Paris, 10 minutes from La Défense and Porte Maillot conference center. The 4-star hotel has 112 spacious, comfortable and soundproofed rooms with free WIFI. There is also a children's play area, a cozy bar, a bright, modern restaurant, a private car park (charges apply) and 8 fully equipped, modular meeting rooms. Enjoy a pleasant stay in Paris with Novotel! Make yourself at home in one of the 49 air-conditioned rooms featuring espresso makers and LCD televisions. Complimentary wireless Internet access keeps you connected, and digital programming is available for your entertainment. Private bathrooms with bathtubs or showers feature rainfall showerheads and complimentary toiletries. Conveniences include phones, as well as desks and electric kettles. With a stay at Campanile Paris Ouest - Pont de Suresnes, you'll be centrally located in Suresnes, a 3-minute drive from Bois de Boulogne and 9 minutes from Parc des Princes. 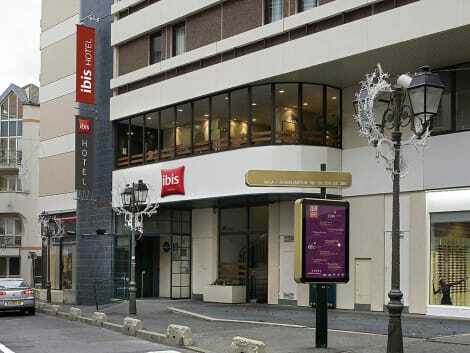 This hotel is 3.6 mi (5.9 km) from Champs-Elysees and 3.6 mi (5.9 km) from Arc de Triomphe. lastminute.com has a fantastic range of hotels in Suresnes, with everything from cheap hotels to luxurious five star accommodation available. We like to live up to our last minute name so remember you can book any one of our excellent Suresnes hotels up until midnight and stay the same night.